The Kids Don’t Float program has two main goals: to provide loaner Personal Flotation Devices (PFD’s) to children at strategic public boating locations and to educate the guardians of children such as parents, teachers and other family members, about boating safety. 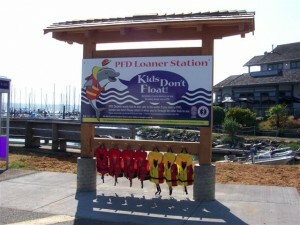 The loaner station consists of a colourful poster reminding children about the importance of wearing a PFD whenever in or near the water. The Royal Canadian Marine Search & Rescue provides a Boating Safety program which serves several purposes. First, it encourages safe boating education and practices to all age groups of the community. Secondly, boating safety is Station 60’s initial contact with the public for the recruitment of new members and for our fund-raising efforts. 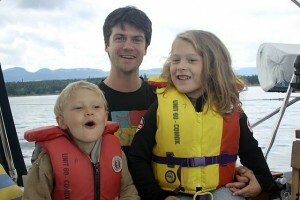 The effectiveness of Boating Safety education is a determining factor in the prevention of Search and Rescue incidents. The Pleasure Craft Safety Check (PCSC) program provides RCM-SAR members trained, in conjunction with Transport Canada Office of Boating Safety, to educate and assist boaters in having the proper safety equipment aboard their vessel. The Safety Check is done free of charge to all mariners and available at their request, where ever the boat is located, in the marina or at home. Bobbie the Safety Boat is an interactive remotely controlled land based “boat” designed to interact with children in order to communicate about boating safety. 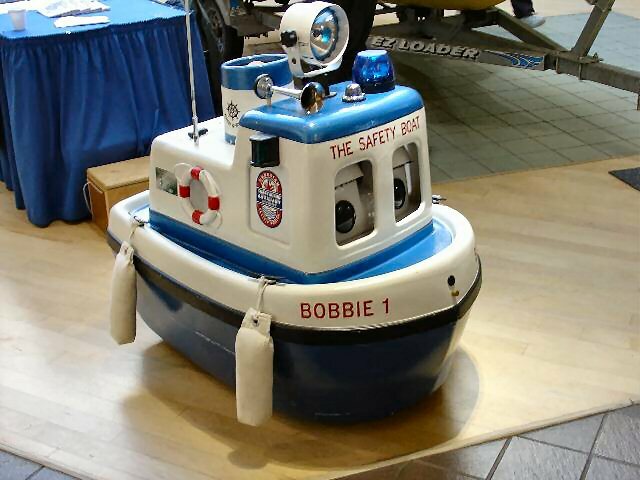 Bobbie is taken to locations such as shopping malls, schools and numerous Boating Safety events where the “boat” captures the imaginations of children and adults alike, while teaching the importance of Boating Safety.